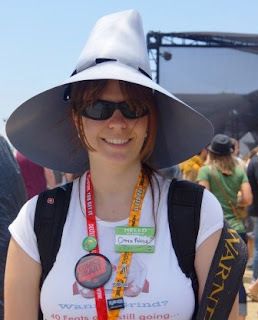 Note: to save time, in this post I've linked to several articles I've written for TheTalkingBox. Jonathan and I spent a week in Southern California. We drove to Los Angeles on a Monday and hung out with a HS friend. 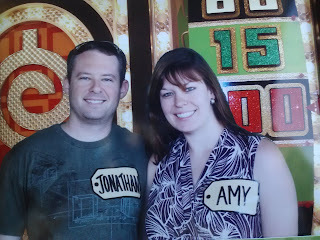 The next morning we went to a taping of The Price is Right (which will air June 25th after two delays from the original schedule), which was a lot of fun! I'd totally recommend it! You can read about the experience in full here. After that, we drove to San Marcos, a cute little city, for the night. On Wednesday, it was onward to San Diego! We've both been numerous times before, but this was our second trip together. 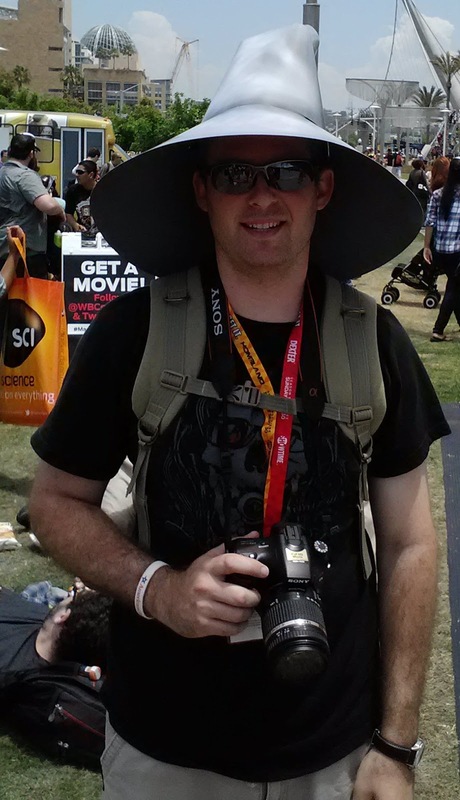 We were there for the specific purpose of attending Comic-Con, which I wrote about extensively for TheTalkingBox, and links to each article can be found here. Here's a photo of each of us, though, taken near the Batmobiles. We're wearing Gandalf hats. JB is sporting a Def-Con shirt (a hacking thing) and I'm wearing a Packrat shirt (an online game). My Danica Patrick nametag is a joke from The Neighbors television show. Also in July, we finally got a Chick-Fil-A restaurant in our area, about 15 minutes away. We went a few days after it opened and a few more times in the following weeks, introducing various friends to the delicious chicken they have. We really enjoyed watching the Olympics and even altered our daily lives to be able to watch many events live, which was really exciting. We went to Psycho Donuts with our friends, Jim and Diana, which is a great little shoppe. We went to the Campbell location, although there's also one in San Jose. 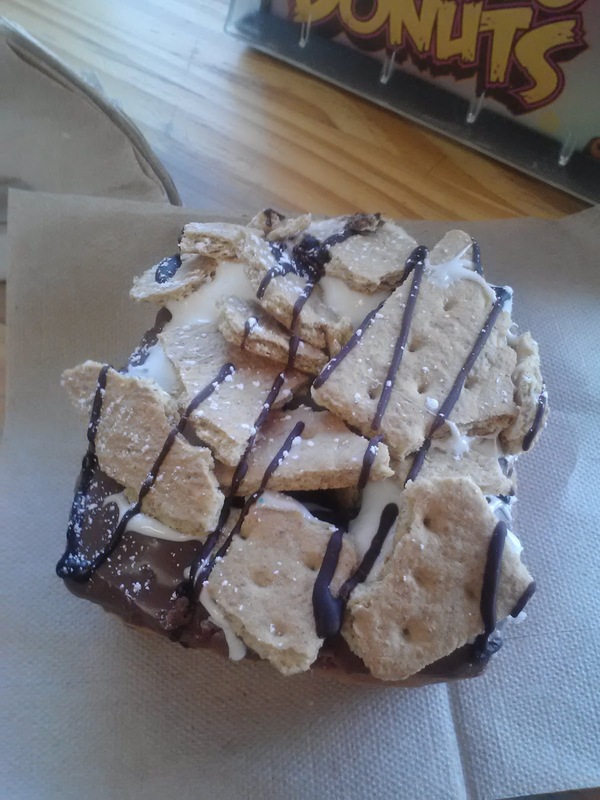 Here's a picture of my s'mores donut. We also went to the Gilroy Garlic Festival, which is overpriced for what it is, but really pretty neat. You can get just about anything with garlic, including garlic ice cream, garlic popcorn, garlic crab fries, and just about anything else you can think of! There are fair rides and a lot of children's activities, plus some musicians and other entertainment acts. I really liked the variety of crafts vendors, and we picked up a couple of gifts for people, including a really neat bread knife for Jonathan's mother. We'd go again, but we'd probably seek out some discount coupons or something that gave more money off than just buying online!